I didn’t want to put a damper on my wonderful trip through Burgundy and Champagne, but there were a couple of glitches because of the strikes in France. This was mostly apparent as we prepared to head home. For the first time since I began to drive, there were long lines at gas stations and many were closed all together. The trains were running sporadically and we never got to use Rail Europe at all. 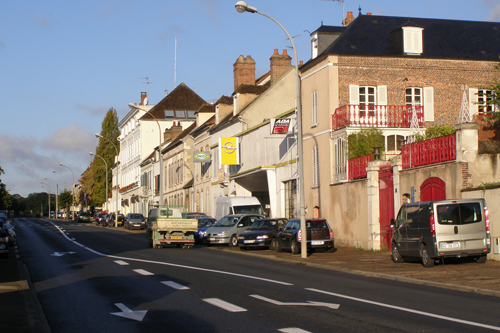 In order to get back to Paris on the final day, we had to leave the hotel in Bourgogne at 3:30 am. Veronique of Burgundy Tourism generously got up and drove us the three and a half hours to Charles De Gaulle Airport. The lines were long and we were, understandably tired, but my Air France flight took off on time and I had a pleasant trip home. I want to thank those who made this trip possible and are available to anyone who would like to do a similar trip, French Tourism and the tourist boards of Champagne-Ardenne (Sarah was especially helpful) and Burgundy, as well as my fellow writers, Donna, Jesus, Patty, Peter. 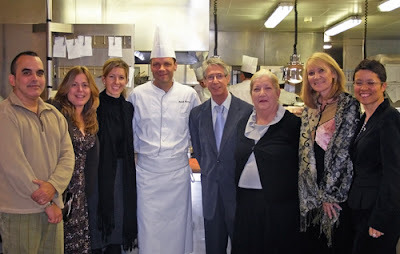 The photo below was taken of everyone on our final night with Chef Patrick Bertron of Bernard Louiseau. Hey, really great blog post… I'm enjoyed reading through your blog because of the great style and energy. I actually work for the CheapOair travel blog. If you're interested, we would love to have you on as a guest blogger. Please send me an e-mail (gchristodoulou(at)cheapoair.com) and let me know. Looking forward to hearing from you.